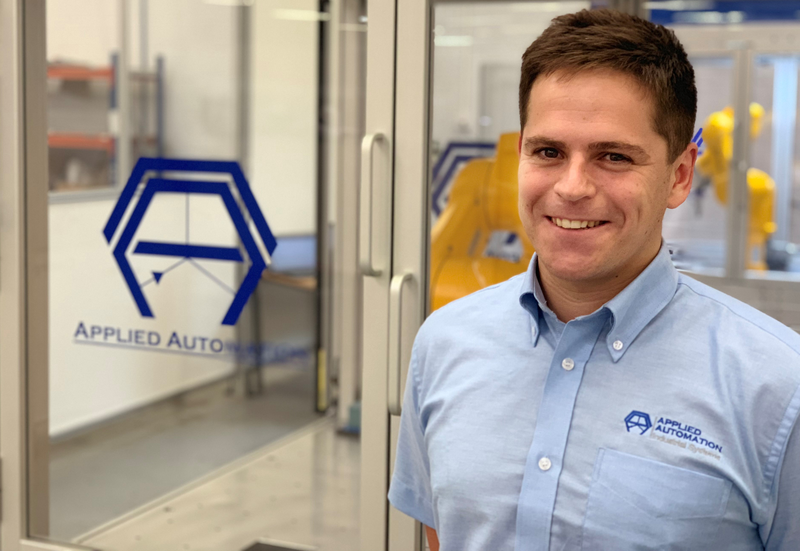 Paul Rowe has been promoted to the position of director and will head-up the Industrial Systems division at Plymouth-based Applied Automation (UK) Ltd. The division specialises in factory and materials handling equipment. This is a new role, introduced to enable the division which is already operating profitably, to significantly increase its market share. Senior management believe there is considerable potential for growth. Paul Rowe, the son of managing director David Rowe, joined the company in 2003 as an apprentice and has worked in various positions in that time, developing his knowledge and experience across the whole company. Mr Rowe senior said: “It’s not easy to work within a company when you’re the son or daughter of the boss. There are high expectations and you have to overcome a certain amount of suspicion to earn the respect of your colleagues based on your own abilities. The Industrial Systems division was formed in 2015 and currently employs 17 people. Applied Automation is the sole agent in the UK and Ireland for the German manufactured MayTec aluminium profile and pipe and joint system and is the official UK and Northern Ireland distributor for the Carryline Swedish conveyer system.